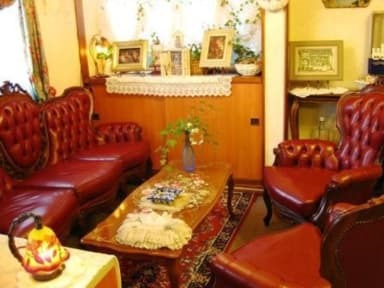 Pension Puppy Tail is on Hakodate Eki-mae Street, only 5-minute walk from the station. Its convenient location provides easy access to sightseeing. Tour buses and trams station are nearby for departure and arrival. The accommodation charges in Pension Puppy Tail are reasonable. Featuring cozy and comfortable beds, all the rooms in this building have TV and air-conditioning. We, born and grow up in Hakodate entertain you. We want to have a friendly relationship with our guests. We are happy that many of our guests visit us repeatedly. Ask us anything. We know where to see, buy, eat and visit. You will always be welcomed with our BIG SMILE. 1. Check-in Time: from 15:00 to 22:00. (1) Guests can leave their luggage at the front desk before 15:00. Please inform the hostel in advance. (2) Guests arriving after 19:00 must inform the property in advance. Contact details can be found on the booking confirmation. 2. Check-out Time: until 10:00. (1) At least 3 days advance notice before the arrival date is required. (2) If cancelled or changed later, the balance of first night will be charged. (3) In case of No-Show, the full balance will be charged and no refund will be given. (1) All children are welcome. (2) One child from 0 to 5 years is charged JPY 1000 per person per night when using existing beds. (3) Please mention how many children are in the booking, and their ages. For children who have no meals or bedding booked, charges will be added upon arrival. My partner and I stayed here for two days. These guys have put a lot of effort into this accommodation, it felt more like a hotel than a hostel. Towels, soaps, yukatas all provided, and a welcome snack. If I come back to Hakodate, will 10/10 book this place. 100% recommend. The staffs are awesome and friendly! He helped us to heat up our boots and offered to bring our luggage to the train station. Very nice spot. Staff were helpful and considerate. 5 minutes to a lot of great food choices. 2 or 3 blocks to Hakodate station. Rooms have everything you might need. Beds are very comfortable. Wish I could have stayed longer. Very nice place to stay, very nice staffs . a little bite far from tourist attractions on feet. Very near to station. They need to put an english board. Very friendly reception. Thanks for a good stay. The host was really hospitable. 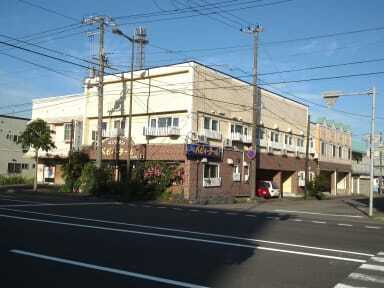 The hostel close to the JR station and convenience. The rooms are a strange mixture of traditional Japanese style and some kinda excessive Renaissance style motifs. Overdecorated. The place is really clean. Staff is quite polite. There is no common area. The place is very near to the train station so easy to find. The service is fabulous with personal touch. הוסטל מאוד צבעוני ומקושט. העובדים מאוד נחמדים ואוהבים לעזור. ממוקם מאוד קרוב לתחנת הרכבת ויש משם גם אוטובוסים.